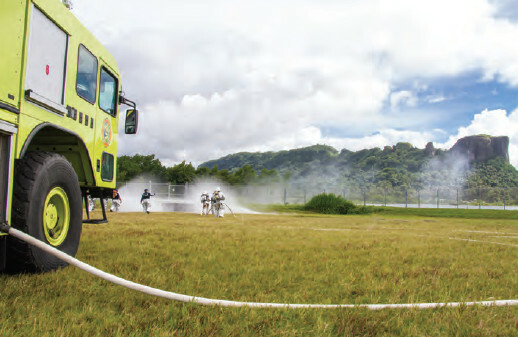 Pohnpei—On July 21, 10 trainees from the Kolonia Town Police Department completed two months of intensive fire safety training conducted by firefighters from the Airport Rescue Fire Fighters unit (ARFF) of the Pohnpei Port Authority. The training culminated with a controlled live fire extinguishing experience at the Pohnpei International Airport. 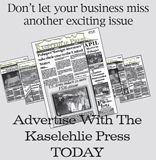 Kolonia Town spokesperson, Vitus Susaia said that on May 11, the 9th Kolonia Town Council passed an ordinance creating a Fire Division within the Kolonia Town Government. Jose San Nicolas signed the ordinance, making it law on May 18. He said that the move was prompted by fires within the last year that inflicted serious damage on houses and other properties in Kolonia Town. “An agreement was reached between Kolonia Town Government and Pohnpei Port Authority to conduct a two month training on both practical drills and basic theories on fire prevention,” he said. The first group of 10 officers completed their training on July 21. A second group of 10 officers is currently being trained. “The Office of the Mayor placed a high priority on creating this fire division so that fire fighters from Kolonia Town Government could be first responders to fire and other disasters within the boundaries of Kolonia Town,” he said.